Looking for something to do on Wednesday evening? Want to enjoy some tasty, affordable wine, chat with your favorite local wine writer, and hang in some good company? If so, clear your calendar (or at least carve out a few minutes) between 6-8 pm on Wednesday, April 30th when I team up with Kevin Keith (better known as "K2" from Under the Grape Tree) to host a free tasting for y'all at The Party Source! We're going to be pouring several versions of Grenache, one of the more interesting and most unappreciated grape varietals out there. We'll have examples to compare and contrast from all over the globe, so come on down. Try some of our selections and maybe try a few more from their new tasting bar. For a local angle, Stonebrook Winery will also be offering samples of their wares. And if you've got a thirst for hops, you can pop back to Ei8ht Ball Brewery in the back of the Party Source and try some samples from here. Sometimes a winery can be just a load of grapes and a plan. Estate winemaking, especially in well-known areas like Napa Valley, is an expensive proposition. Land is expensive, as can be cobbling together a winemaking infrastructure. Equipment, tanks, barrels, bottling lines, storage – the list of expenses goes on and on. Winemakers with good relationships, however, can take advantage of their connections and start an operation of their own. That’s what winemakers Phillip Zorn and Brent Shortridge are attempting to do with Waterstone Winery – a winery that doesn’t exist as a brick-and-mortar place. Thanks to the good folks at Folsom & Associates, I received a pair of bottles from Waterstone to sample. What sort of wines does this phantom winery produce? 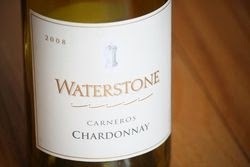 Waterstone 2012 Carneros Chardonnay – The notion of balance in a Napa wine is something I’m still getting used to. Many of those wines are strong and in-your-face. That’s not so much the case with the Waterstone. This is a much more mellow wine than many oak bombs I’m used to from Napa Chardonnay. The nose is fragrant with apple blossoms, oak, and a little bit of a toasted, yeasty undertone. This chardonnay is about as far from buttery as you’ll find. Instead, there’s a distinct mineral character that connects green apple and pear with an oaky backbone, although not as much oak as I thought there’d be after getting a whiff. The finish is oaky and fruity, with a slight astringency that fades a bit as the wine gets a little air. It’s a fairly solid middle-of-the-road chardonnay if you’re looking for something on the lighter side. Alongside a cheese and apple board we had as a snack, it was OK. It retails for $18, which may be just a tad high. 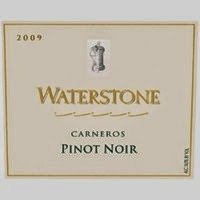 Waterstone 2011 Carneros Pinot Noir – I could have clacked out (or, more accurately, copied) the first few line of the Chardonnay review for this pinot noir. Again, this is a much more restrained glass of pinot noir than I expected from Napa. The nose, full of plums and cherries, had me ready for a big wave of fruit that didn’t materialize. Instead, a well-constructed cherry cola flavor (without sweetness) dominates the palate, along with a light trace of tannin that lingers for just a bit on the palate before deepening on the finish into long smokiness. It’s got one of the longer finishes I’ve had in a pinot in quite some time. The Sweet Partner in Crime deemed it “delicate and really pretty.” With a dinner of pork chops and citrus-flavored lentils, it proved to be deliciously food-flexible. According to the winery’s notes on this wine, the 2011 growing season was a very challenging one for their sources. If that circumstance led to the balance and focus of this wine, I hope they took good notes – because whatever technique they used worked wonderfully. We really enjoyed it. Retails for $22. In 1883, German immigrant Carl Wente bought 48 acres of land in Livermore Valley in Monterey County, California and planted a mess of grapevines. Fast forward to 2014, and Wente Vineyards is the oldest continuously operated winery in North America, run by the fourth and fifth generations of the Wente family. 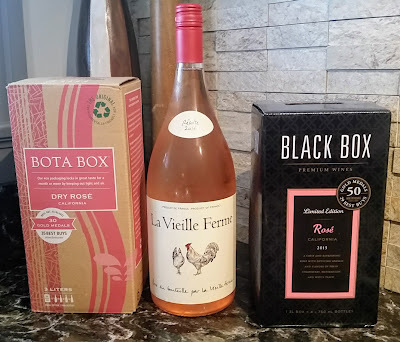 Thanks to the good folks at Balzac, I had a chance to sample two versions of the new vintage of the Wente chardonnay, as well as one of their new releases of pinot noir. How did the “First Family of Chardonnay” do this time around? Wente 2012 “Morning Fog” Livermore Valley Chardonnay – I was lucky enough to have a massage scheduled for a Saturday, and the SPinC was nice enough to put together a lunch for when I got home. She’d put together this very tasty oriechette pasta with chickpeas and Kalamata olives in a rich (but not buttery) sauce. I thought this might be a good accompaniment, and we ended up with a great team decision. This wine is everything you could hope for in a $15 chard. The wine’s got a nice nose of apple blossoms and vanilla. The body is substantial without being overly heavy, full of pears and vanilla. There’s creaminess without being too buttery, oak without being too charcoalled, and just a pleasant overall flavor. With the pasta, it was assertive enough not to lose its character along what could have been a slightly challenging pairing. “Middle of the road” may be curse words in some vocabularies, but for a California chardonnay, this sort of balance is a sweet spot I’m happy to find. Recommended. Wente 2012 “Riva Ranch” Arroyo Seco Chardonnay – Now this is an interesting white. This Chardonnay comes from a blend of two of the Wente clones -- Clone 2A and Clone 4, if you’re keeping score at home. Clone 2A is the “classic” varietal, while Clone 4 is a more recent version that’s got some more fruit characteristics. Riva Ranch, a property in the Arroyo Seco region, starts you off with a bright bouquet of orange blossoms and toasted almonds, which led me to believe there would be more oak on the palate than turned out to be. Instead, there’s a cheek-puffing flavor of apricot and pineapple that leads to gentle buttery flavors. The finish is long with caramel and a little bit of oak gradually trailing off. It’s a forward chardonnay, but a good one. I put this alongside a really nice seared scallop dish with wilted spinach and a light citrus cream sauce. It held up nicely. I’d get this one again if I needed an assertive white. This retails for around $22. Wente 2010 "Riliz Creek" Arroyo Seco Pinot Noir – In this case, what was good for the goose wasn’t necessarily good for the gander. The Morning Fog impressed me by being middle of the road – by holding a balance between the various elements of the flavor, which is what you might want in a relatively inexpensive bottle. But for the pinot noir, it’s as if they followed the same formula. All the elements are there for a pinot noir – cherry and berry flavors, a medium body, light tannins, and a little bit of smokiness. And these elements were in harmony for the most part. The problem was that there was so much balance that the wine became almost uninteresting. It wasn’t that it was bad, it’s just that nothing really stood out about it. It’s clearly a quality wine, and it’s much better to drink than most inexpensive pinots, but it’s fairly nondescript for the price point. It’s a nonthreatening wine. People will like it. I liked it, too. I just didn’t love it. Food pairing wise, we had it with a turkey meatloaf dish that sounds pedestrian, but calls for those flavors. It was OK, and a bit overpriced at $28. I’ve long said that brunch is my favorite meal of the day. I find something deliciously decadent about getting up late and having enough relaxed time in the morning to put together a meal that goes a bit beyond a bowl of Cheerios. Mulderbosch 2012 Sauvignon Blanc – I wrote about the 2011 vintage of this light-styled Sauvignon Blanc from South Africa’s most famous winery last August. I found it quite delicate, flavorwise. It does have a pretty pronounced citrus fruit flavor, but one more in the sweet grapefruit range than many that end up with tart lemon or lime flavors. There’s also a fair amount of creaminess that belies the light body. The finish is more fruity than crisp and isn’t particularly lasting. I can see why this would be recommended as a brunch wine, although at 13.6% percent alcohol, it might be a strong way to start your day. I could see this going nicely with some fruit crepes or other dish that’s got some light cream in the recipe. Pleasant enough to sip on its own, as well. The price has risen a bit from last year – from $13 to around $18. The result was one of the most gentle sparkling wines I’ve ever tasted. The Sweet Partner in Crime declared this wine “silky” from the style of the bubbles. I concur. This wine is super smooth, with layers and layers of apple, pear, and pineapple. It’s very clean tasting and has just a little citrus snap at the end. Very pretty. We hadn’t had a good brunch occasion because of work and travel, so one night, the SPinC declared she was going to make “brinner,” so we had salmon benedict with a side of some nicely seasoned steamed veggies. I have to say, it was simply marvelous. Now, this isn’t an inexpensive wine. The Brut retails for about $35, which means that it needs to be a really nice brunch. 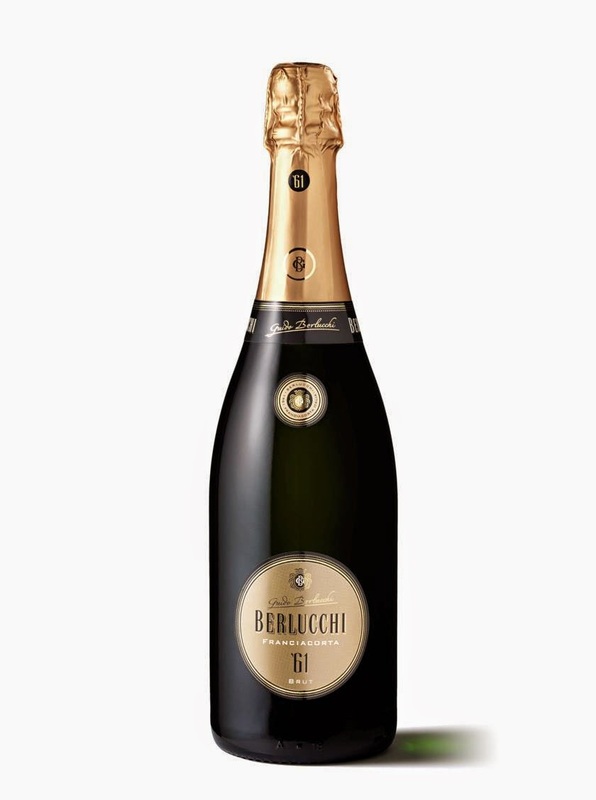 (The “61” in the name comes from the year of the first vintage of Berlucchi wines.) There is a less expensive “Cuvee ‘61” that retails for around $17, but I haven’t had a chance to try that one yet.